The unique album "Medieval Marriage Music: Fauvel's Proposal to Fortune" was recorded by the members of the ensemble Labyrinthus and the French opera singer, medieval and baroque music performer Mark Mauillon. This is the first work of the ensemble from the series "Medieval Marriage Music" devoted to the French musical culture of the beginning of the XIV century. The album was based on plays from a fragment of the satirical poem of the XIV century "Roman de Fauvel" - "Fauvel's Proposal to Fortune". Fovel's marriage is one of the most striking episodes of the "Roman de Fauvel". On the record, the musicians not only perform plays from the novel, but also play the whole action: the role of King Fauvel will be performed by Mark Mauillon (baritone), and Anna Miklashevich (soprano) will sing for the beauty Fortuna. The musical accompaniment will be the compositions from the novel itself, as well as the motets from Montpellier Codex 8th fascicle and pieces by Philippe de Vitry. It should be noted that all plays are performed in Old French and Latin, as in the original "Roman de Fauvel". The Ensemble Labyrinthus was founded in 2010 by Danil Ryabchikov, a famous researcher and performer of European medieval music of the 10th-14th centuries. This is the first Russian ensemble performing medieval music at prestigious European festivals and concert venues. The name Labyrinthus is associated with the tradition of medieval labyrinths, in processions by which probably used a special paralyturgical music, which forms the basis of the repertoire of any medieval ensemble. 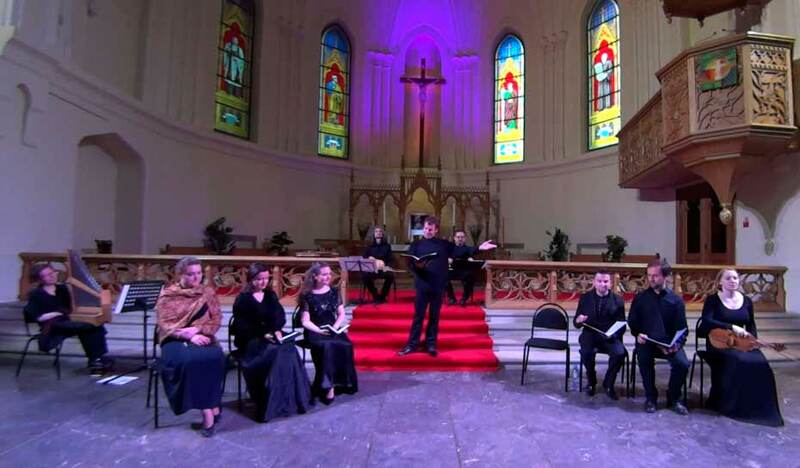 In Russia Ensemble Labyrinthus is the base collective in the program of annual Medieval Music Festival «Musica Mensurata», whose art director is Danil Ryabchikov. Mark Mauillon (baritone, France) is one of the best singers of the solo vocal repertoire of the fourteenth century, equally known as a performer of Renaissance music and as a baroque, including opera soloist. He graduated the Paris Higher National Conservatory of Music and Dance, laureate of the premium in the field of classical music ADAMI.He played with William Christie and the ensemble Les Arts Florissants, V. Dumestre and ensemble Le Poème Harmonique, E. Chaim, K. Rousse and the ensemble Talens Lyriques, E. Nike.His performing activities extends from Guillaume de Macho to contemporary authors such as Dyusapen, Saarjaho, Dupin. Anna Miklashevich (soprano) - graduated from the Moscow Conservatory, already during her studies she became interested in the performance of ancient music, performed with ensembles "Labyrinthus", "Intrada", "Alta Capella", "The Pocket Symphony", etc.In 2012, she entered the vocal department of the Schola Cantorum Basiliensis (Basel, Switzerland), where she continued studying the ancient music and historically informed performance.She took part in the master classes of A. Scholl, E. Kirkby, B. Bagby and others. He conducts an active concert activity, performs at international festivals.Cooperates with various ensembles of ancient music, as well as with orchestras La cetra Barockorchester, Capriccio Basel, Bach-Collegium Freiburg, Novantik, and others. Lives and studies in Basel. The album "Medieval Marriage Music: Fauvel's Proposal to Fortune" was published by the music publisher Sketis Music on the sab-label Bestiarium Music. Buy CD with records of European medieval and classical music you can always in the our online store.